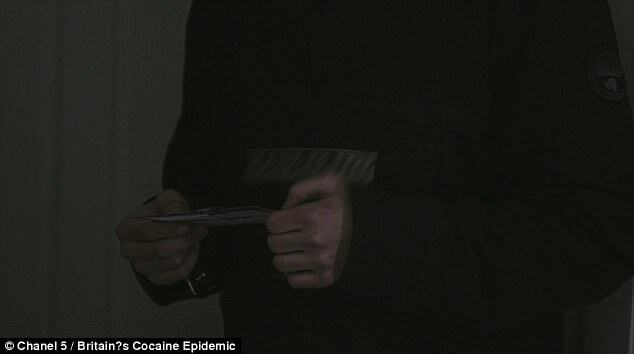 Millennials are helping to fuel a cocaine ‘epidemic’ in Britain, according to a new documentary that shows students using money from their parents to order drugs to their door in as little as 20 minutes. 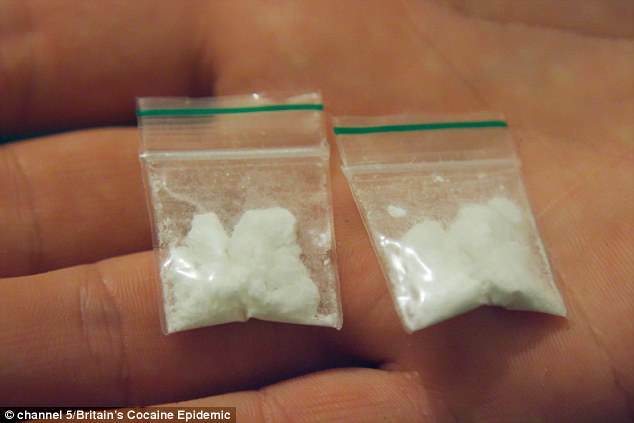 In Britain’s Cocaine Epidemic, university friends Phil and Ollie procure two grams of the drug from a local dealer over the phone, who assures them he will be at their student accommodation within half an hour – quicker than they could have organised a takeaway. 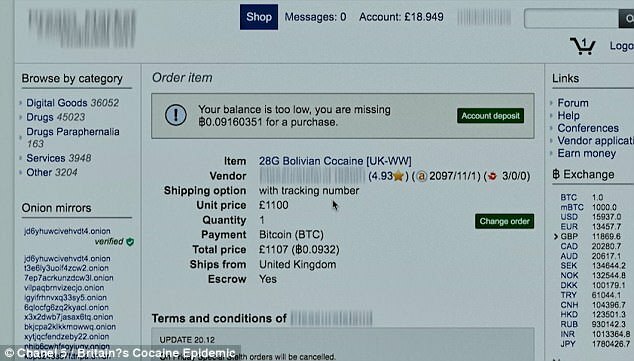 The show, which states that the UK is consuming twice as much coke as its European neighbours, also sees the two students trawling sites on the so-called ‘dark web’ to buy drugs with cash their parents send them to help pay for groceries and bills. Both young men admit their students loan barely stretch to cover their rent, but still spend supplementary money from their mums and dads on recreational drugs for their nights out. 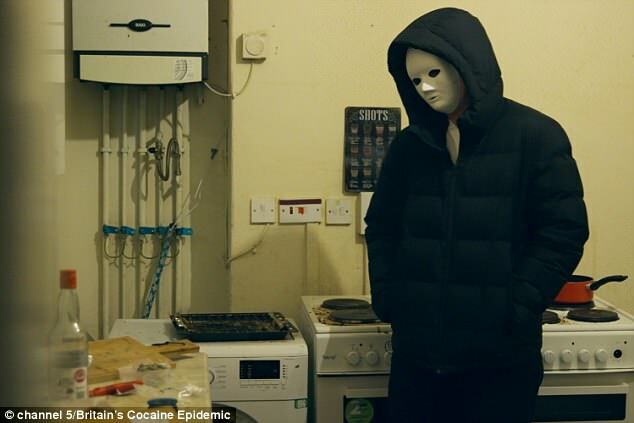 Ollie is also seen collecting a package containing £450-worth of cocaine and marijuana ordered from an illicit website from his local Royal Mail sorting office in the documentary, which airs tonight on Channel 5. 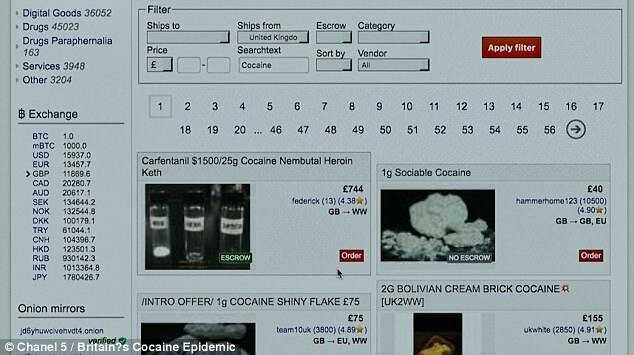 The students were filmed browsing a website on the dark web, and sifting through 56 pages of different dealers selling cocaine. They would typically spend around £55 per gram when buying online they said, but the price rises to £80 if they’re ordering from a dealer over the phone. Their habits are funded by their unwitting parents. Phil says in the documentary: ‘My parents know for certain that I smoke weed and any time it comes out I get a verbal clip round the ear, but if my mum knew that I did coke she might feel a little bit differently. Deaths from cocaine in England and Wales have more than doubled in the past four years according to the Office for National Statistics – with 371 cocaine related deaths in 2016, compared to just 139 in 2012. In 2016-17, 12,000 people were admitted to hospital with cocaine related disorders, but in 2007-08 this number was just 5,148. 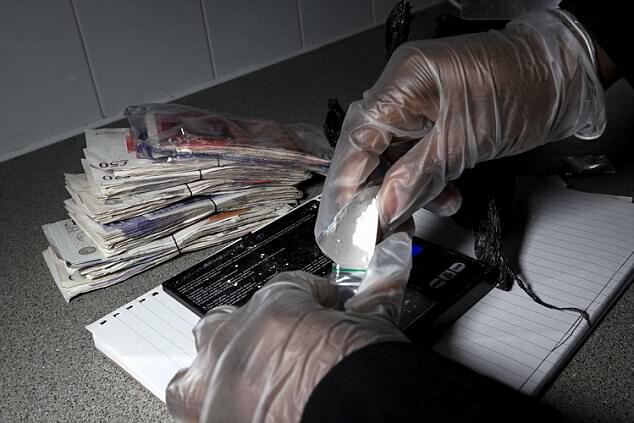 The purity of the the drug on the streets, which has hit around 54 per cent, is the highest found in decades. Although some believe purer cocaine is safer, the opposite is true as bulking agents used such as benzocaine are far less dangerous than cocaine. Phil and Ollie order two grams for their first night out in Manchester at the start of a new term, which they will receive through the post. But late they arrive back at their digs they and realise they’ve missed the delivery, so their package containing cocaine and marijuana is now waiting for them at the local sorting office. As a quick fix they order two grams over the phone from a local dealer, who says he will be there in less than 20 minutes. The following day Ollie heads to his local sorting office to collect their original online order. The pair spent £450 on eight grams of the drug and two different forms of marijuana online – enough to land them a custodial sentence if they were caught. But Ollie was in and out of the building in moments and didn’t face any questions about the contents of the package. The documentary also follows dealers on a busy night out in central London, as they rake in a s as they earn a small fortune every night from clubbers looking to score. Some claim to have so much business they can earn as much as £200 a day just from standing on street corners, without so much as answering a phone call. On a regular day, a dealer called Andre, who is in his late teens, says he will earn £500 – but on a good night he can take home as much as £2,000. Andre said: ‘I see a big future.